Did you know that the retina serves a second purpose – not just for vision, but also for regulating our mood and sleep? . . . and that this involves special retinal photoreceptors that have nothing to do with how we see the world around us? . . . and that it is possible to have partial or complete loss of vision while this second system stays healthy and continues to process light? Let me introduce you to the field of chronobiology, and explain why retinal health is so important for these non-visual effects. Also, how you can improve depression and sleep when the retina is not doing its proper job processing light in this particular way. Deep within our brain lies a biological clock that beats out a daily rhythm signaling us to get sleepy for the night and alert for the day. It also controls when our temperature rises and falls, when hormones should be circulated -- every body function follows a rhythm. The problem is that this inner clock has a life of its own, which can get disconnected from day and night outside. When that happens, internal night doesn’t begin at sunset and internal day can lie anywhere across the 24 hours of the solar cycle. The result is abnormal timing of sleep, often accompanied by depression. The physiological challenge is to synchronize our inner clock with the external world. That’s where light reception by the retina comes into play. The retina connects to the clock in the brain by neurons that travel with the visual optic tract as it leaves the retina, but soon diverge toward the clock nucleus. When environmental light excites the retina at certain times of day, it shifts the clock earlier, and at other times of day it shifts the clock later. By this means, it guides the clock into synchrony with the outside world. If you were born to be a late-night “owl”, and your clock tells to you not to get sleepy until 3 a.m. (for example), retinal light exposure at the end of your night (which might be 10 a.m.), will shift the clock earlier so you can sleep in sync with night outdoors. If you’re an extreme “lark”, however, you’ll need evening light to shift the clock later, so you don't fall asleep before night begins. 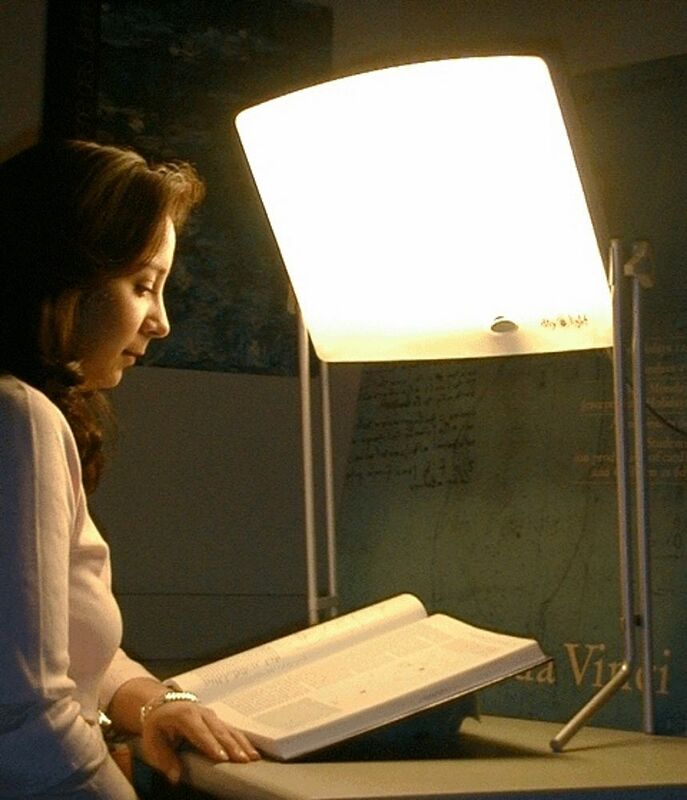 These insights have given birth to light therapy as a new, non-drug clinical treatment. If you have lost all retinal function and cannot process light signals to the clock, you are likely to fall into a trap: your inner clock takes over, and you start going to sleep later and later and later as the days pass. At some times of month, you’ll be in sync with day and night, but at other times of month, you’ll feel extreme pressure to sleep in the middle of the day. This kind of sleep problem is not easily recognized by patients or their doctors, but is essential for the right treatment – it does not respond to the usual sleeping pills, because it is not really a sleep disorder but a timing disorder. How can we fix that vexing problem without light? The answer is to use the physiological signal of darkness, the hormone melatonin. Normally, the inner clock signals the pineal gland to secrete melatonin at the start of the night and to shut off in the morning before you wake up. If your clock is running late, so will melatonin run late. But by taking a melatonin tablet at appropriate dose before your clock turns on pineal secretion, your brain detects that night has already started. Your clock responds by shifting earlier, so sleep falls in line with night outside. For those with retinal disease, taking melatonin can stand in for daily light exposure, and organize the timing of readiness for sleep. You can learn more about the fascinating clinical insights of chronobiology from our new book, Chronotherapeutics for Affective Disorders, which includes a chapter on visual impairment. Get information about the book at the Center for Environmental Therapeutics (www.cet.org), where you can also learn more about how your own inner clock is behaving by completing the automated online self-assessment questionnaires, and you can log on to the Ask the Doctor forum. Dr. Terman is Professor of Clinical Psychology in Psychiatry at Columbia University’s College of Physicians & Surgeons, where he directs the Center for Light Treatment and Biological Rhythms. He is President of the Center for Environmental Therapeutics, a nonprofit professional agency dedicated to research and education on the new environmental therapies.